This year, as summer comes to an end and the smell of artificial pumpkin spice fills the air, I am excited for one thing in particular. The 2015 Nintendo fall releases. Here’s what is new with Nintendo Canada and what you need to be adding to your Christmas lists. A lot of Nintendo fanatics and gamers would probably agree with me that the release of the season if not the year is Super Mario Maker. Released earlier this month, the kids and I have been playing this game non-stop. There are a few ways to play which make the game incredibly complex and interesting. 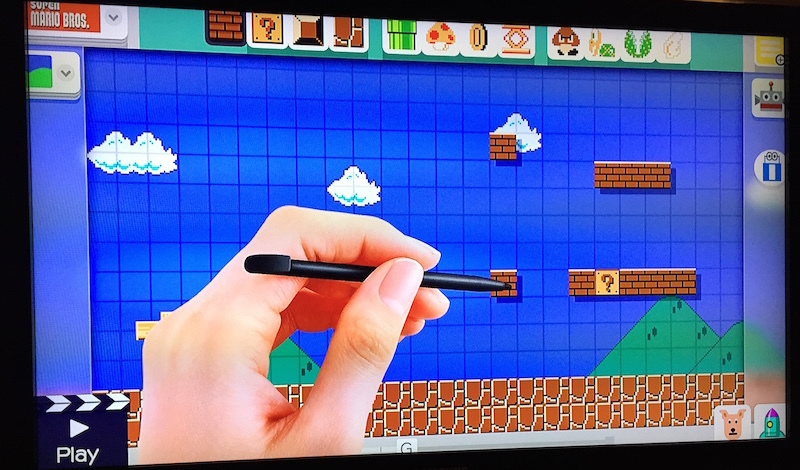 First and foremost, you and your kids can actually design playable levels of Super Mario with modern backgrounds or heading back to the original look that debuted 30 years ago. The design process is incredibly easy for kids with drag and drop elements that get their imaginations running wild. One of the best features of Super Mario Maker is the mystery mushroom where you can use Amiibos to have Mario turn into other Amiibo characters like Donkey Kong and Sonic. We figured this out by playing levels other players had uploaded and designed based on the retro games and were pretty impressed with the ingenuity of the other players’ designs. Tap “comments”. A red x will appear when the comments are turned off. Press the x button to return to the game. Once you have turned the comments off in one level, they are turned off in all levels. We have mostly been designing levels as a family and then challenging each other and it’s been a lot of fun. 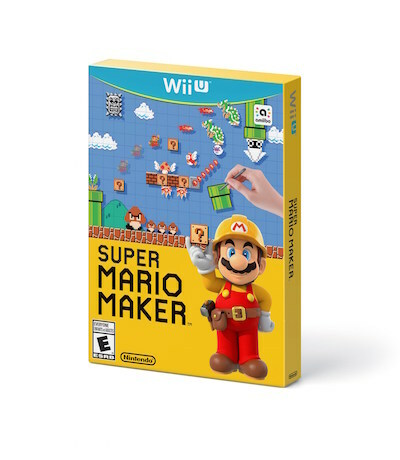 Super Mario Maker is a great introduction to video game design for little gamers and just a lot of fun for adults. Also already available in stores and the Nintendo e-shop is Little Battlers eXperience for Nintendo 3DS. This is the game’s first release in Canada and kids all over the country are loving it. Basically, you play as 13 year old Van Yamano and build, customize and battle robots that you make in the game. 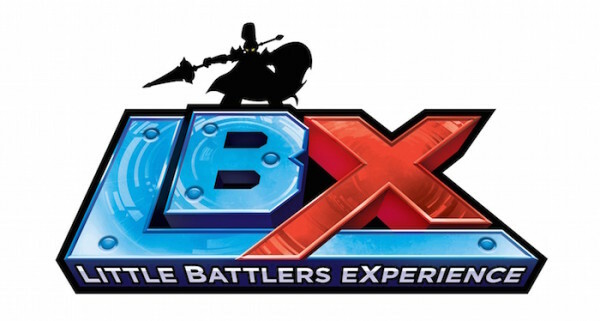 There are more than 4,000 game parts which can make over 30,000 different LBX robots. This game has a real anime Pokemon feel to it, which meant it was right up Will’s alley. He immediately figured the game out and took to teaching it to Charlie who at 5 was able to grasp the concept and really enjoy the game. I spent some time playing it and found it to be a very kid friendly release. I also loved that the game can be played in 2D as well as 3D so it is safe for under 7 year old still developing eyes. Charlie loved that one of the main characters and the “brains of the group” is a female character. We picked out this game for Charlie and dowloaded it yesterday from the Nintendo e-shop. This newest Nintendo of Canada release is adorable. You enter the game as the newest employee of Nook Homes, a home design company owned by raccoons. You begin by taking on home design jobs from animals in need of a perfect nursery or cool living space. The animals come to you with their vision and its up to you to make it a unique (virtual) reality. 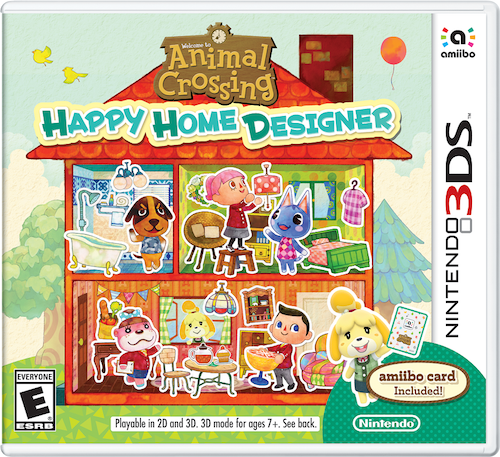 Animal Crossing: Happy Home Designer also introduces the newest evolution of Amiibo, the Amiibo cards. The cards which come in packs of 6 represent a different Animal Crossing character. The cards can be tapped into the game using the New Nintendo 3DS system, which allows the character on the card to enter the game with a new work request. The cards also make great trade-ables with friends. Once you get some experience in home design, the game also will evolve to ask you to take on bigger tasks like building a school or renovating a hospital. I’ve always said I prefer for my kids to use their allotted “electronic time” to play video games over watching television. The releases of Super Mario Maker, Little Battlers eXperience and Animal Crossing: Happy Home Designer further my belief that their time playing Nintendo is spent using their imaginations and building things I never dreamed of as a child. Having the ability to design video game levels, create robots and learn about home design at such a young age while “playing” gets my kids enthusiastically creating the things they already love. And I really like that. Even more than pumpkin spice. 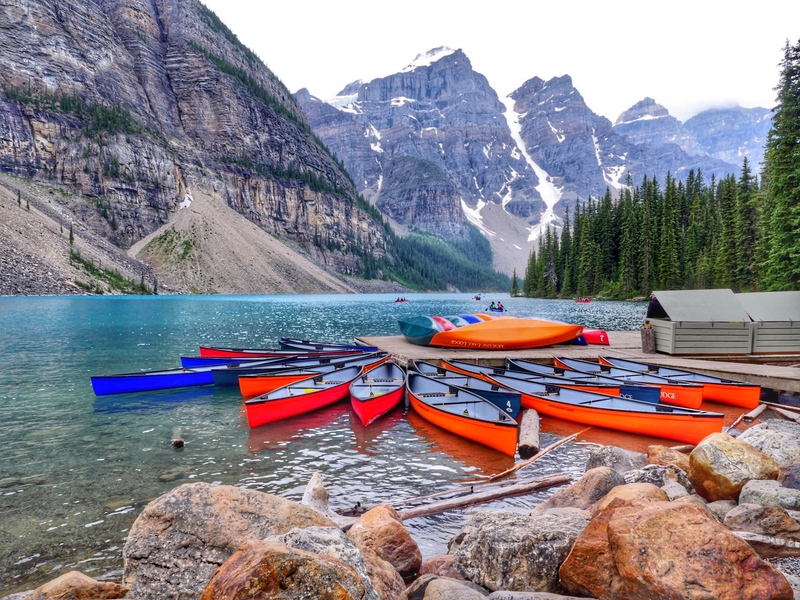 Can’t wait to see what’s next Nintendo of Canada.